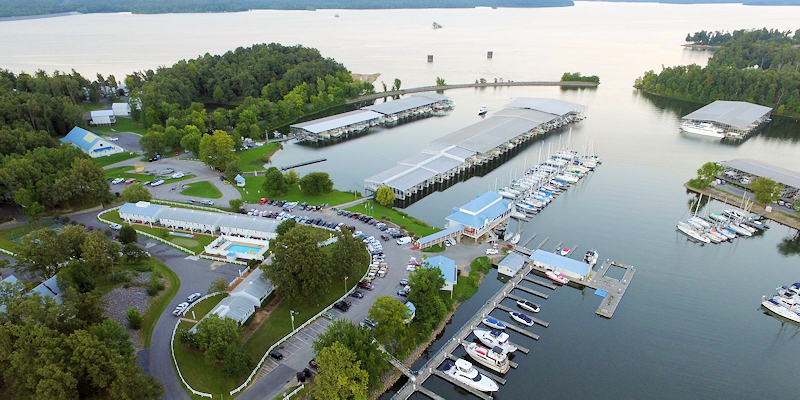 Green Turtle Bay Resort & Marina is one of Kentucky Lake's premier getaways for those looking to escape the daily grind. Some guests at Green Turtle Bay may choose to rent one of the resort's comfortable condominiums. Others may invest in the purchase of one of these units to enjoy year-round access. One, two, three and four-bedroom vacation rentals are available. 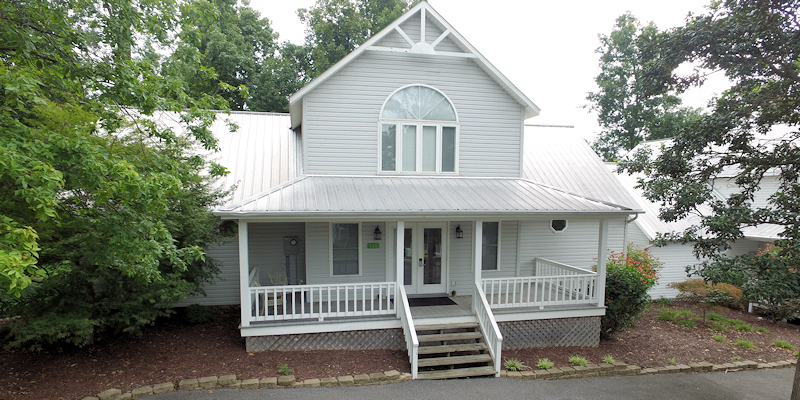 All come fully equipped with a kitchen, washer and dryer, pullout sofa, gas grill and a number of other services to make guests' stay at Kentucky Lake convenient and enjoyable. If visitors are looking to unwind, then the Jade & Earth Spa housed at Green Turtle Bay Resort is just the place to be. Whether a relaxing massage is in order, or a specialized body or facial treatment, the spa's licensed massage therapists, cosmetologists and estheticians are some of the best around. While lodging at Green Turtle Bay Resort, guests can also take advantage of the state-of-the-art health club, which features classes in water and regular fitness training. The facility includes an indoor pool, exercise equipment, a sauna and showers. The health club and fitness center is open Monday through Sunday. The award-winning Main Harbor Marina has become a favorite spot for lake visitors coming from all over the country. The marina’s Five Anchor designation by Quimby's Cruising Guide earns this full-service marina bragging rights as one of the region's premier docks, offering full-service repairs and a fueling station. More than 450 in-water boat slips and over 150 dry storage bays are available for almost any boat size, including covered slips for houseboats and cruisers. Other notes of interest include the marina’s designation by the AGLCA Great Loopers as a Must Stop! destination. It is also the only inland waterway marina to receive the honor of winning Marina Life's national "best marina" competition. 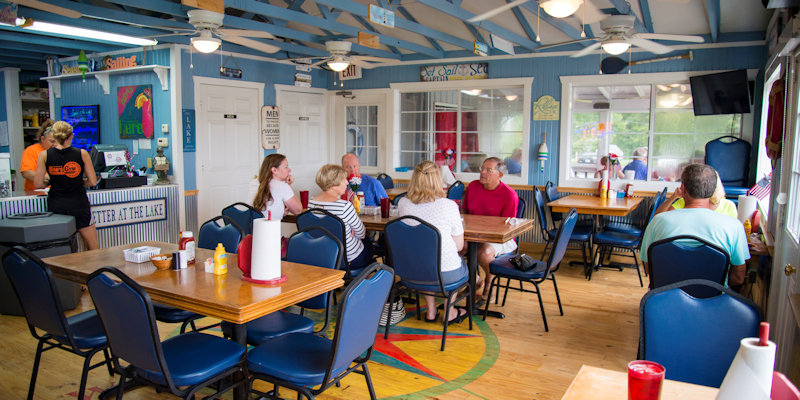 After a swim at Green Turtle Bay nothing hits the spot better than a fresh breakfast or delicious lunch at Dockers Bayside Grille. Whether guests want something filling to get through an adventurous day, or just need something light to keep them on course, the restaurant aims to please its guests with something to satisfy nearly any taste palate. While famous for serving the occasional hot, fresh cinnamon roll on a lazy Sunday morning, patrons also enjoy the Turtle Burger and Docker Dog any day at lunch. In addition to all of this, Dockers caters for large groups, as well. Contact the group sales and events coordinator to view the restaurant's menu and rates. Open seasonally, March through November. Overlooking the Green Turtle Bay Resort Marina, the Commonwealth Yacht Club provides the perfect ambiance for a delightful dinner. Members and guests of the club can enjoy a varied menu of scrumptious fare, as well as a mix of seasonal events to make their trip to Kentucky Lake memorable. Open seasonally, mid-February through December. Green Turtle Bay Yacht Sales specializes in brokering the sale of pre-owned motor yachts, cruisers, houseboats and sport boats. They boast the largest sales dock in the region, including a large stock of fresh water boats stored throughout the year, primarily under cover. They offer full brokerage services and have been serving the lakes region for more than 30 years. Green Turtle Bay Yacht Sales is host to two of the largest "in water" boat shows each spring and fall. For current listings visit the resort’s website. Built on a wooded knoll overlooking Engineer’s Cove and the Solder Creek bay, the conference center at the resort is the perfect spot for weddings, business meetings and family reunions. The center seats up to 120 guests, and offers a full-kitchen, a foyer, a buffet/separate meeting area, as well as large outdoor patios. Catering for breakfast, lunch and dinner is available on-site and makes planning an event or meeting simple. For more information on services and amenities, contact the resort’s group sales and events coordinator. 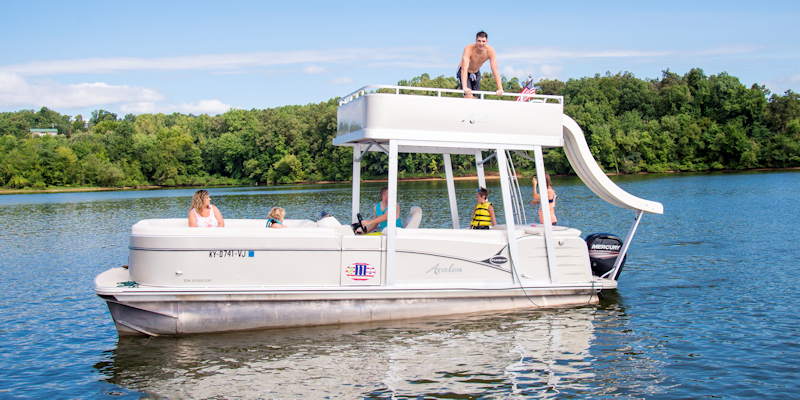 Green Turtle Bay Boat Rentals offers Avalon luxury pontoon, tritoon, double deck pontoon boats, complete with slides, and Alumacraft fishing boats for patrons to enjoy while cruising the waters of Kentucky Lake and Lake Barkley. They also offer a large variety of water sport rentals, such as skis, tubes, kayaks and stand up paddle boards. Full day rentals can be reserved online or by calling 270.362-0121. Half-day rentals are based on availability.